Age 79 of Wilmington, passed away Monday April 1, 2019 at her home. Born October 17, 1939 in Ottawa, Illinois, Judith Ellen was a daughter of David Walter and Ruth (Kilburn) Hall. She was raised and educated in Wilmington, and married LaVerne Breen on December 31, 1966. Judith will be remembered for her love of passing time watching television and reading the bible. Survivors include four children: Vicky (John) Grover of Virginia, Kevin Terpstra of Peru, Walter (Karen) Breen of Tennessee and Tina (Kevin) Lenzen of Wilmington; seven grandchildren: Michael Breen, John Logan Breen, Robert Shram, James Breen, Jennifer Lenzen, Tiffany Donnelly and Sean McMillan; six great grandchildren; one brother Richard (Deborah) Hall of Wilmington; two sisters, Beverly Jean (the late Edward) Reeves and Edith Smith; two sisters-in-law: Kathy Hall and Dorothy Hall, and numerous nieces and nephews. 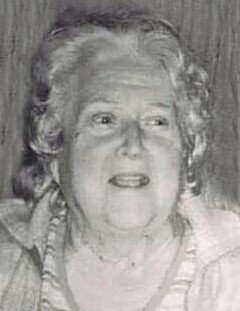 Judith was preceded in death by her parents; husband, LaVerne; one son, Timothy Allen Breen; one granddaughter, Tina Hollis and three brothers, James Hall, William Hall and David "Bud" Hall. Judith and LaVerne will be laid to rest together at Abraham Lincoln National Cemetery in Elwood at a later date.